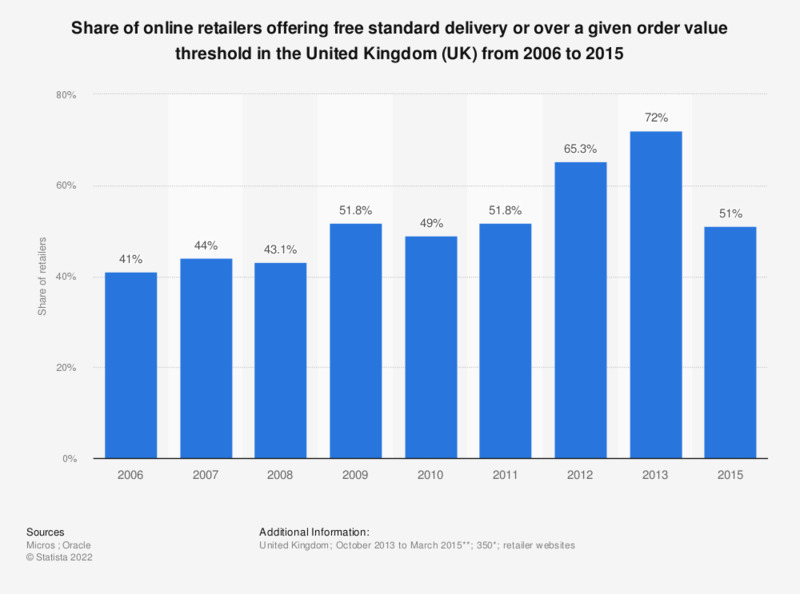 This statistic displays the share of online retailers in the United Kingdom offering free delivery on orders exceeding a given value threshold from 2006 to 2015. In 2015, 51 percent of online retailers offered this option. * n (2015) = 350; n (2013) = 239; n (2012) = 251 Base for previous years not given. ** Date of most recent investigation.